Today this little guy sat at my bird bath for a long time and I had my camera ready and was able to snap this photo of him. He enjoyed sitting there, took a quick bath and a drink of water, then off he went. 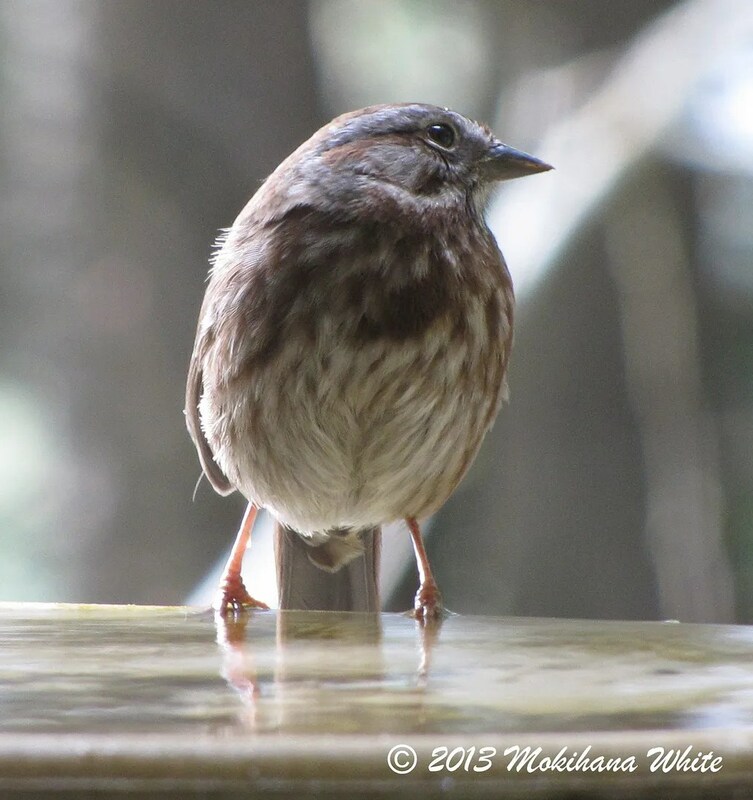 It’s a Song Sparrow, and I had no idea I even had them around here! Great shot. It’s what I’d call his “running-for-office-serious-profile” shot.